Babyology review: does the Philips Avent Comfort Breast Pump pass the mum test? Not all breast pumps are created equal – some profess ultimate comfort, others supreme speed. We asked three Babyology mums to test the Philips Avent Comfort Single Electric Breast Pump in their own homes and tell us how it worked. As the name suggests, the Philips Avent Comfort Breast Pump is all about creating the right, comfortable environment to ensure pain-free, quick flow expressing sessions. Philips Avent boasts it’s the most comfortable breast pump its created, ensuring your back is nice and straight when pumping – no need to lean forward. It also has a gentle stimulation mode, and three pumping settings so you can choose which best suits the time of day, or your own flow. 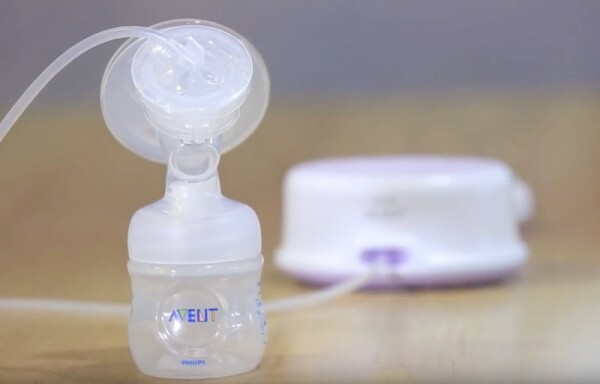 How does the Philips Avent compare to other breast pumps you’ve used and what were the best features? The Philips Avent Comfort Single Electric Breast Pump retails for $249.95, and is available from leading retailers nationally.